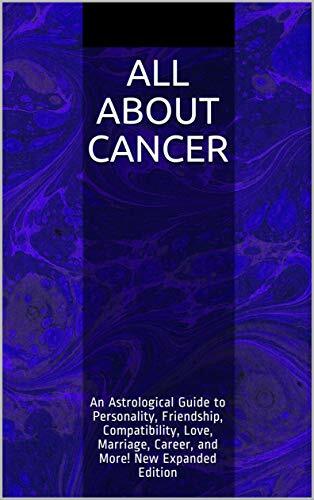 All About Cancer, New Expanded Edition, now available in paperback and Kindle! This can be a beautiful match, assuming that other elements in their natal zodiacs aren’t terribly incompatible. Both signs tend to be loyal, intuitive, and sensitive. A deep, profound emotional connection can be established here, and there is likely to be a lot of passion in a romantic relationship. However, there are differences in how these two signs perceive the world that may create problems. Cancer tends to be more sentimental, idealistic, and forgiving, while Scorpio is usually more realistic and less inclined to let things go. On the other hand, both show great compassion toward those they care about and neither is likely to abandon the other during hard times unless other elements in their natal zodiacs incline them to be uncharacteristically fickle. Cancer and Scorpio often bring out the best in one another. Cancer warmth and sensitivity encourage wary Scorpio to open up and relax, and because Cancers tend to make strong commitments and like to spend plenty of time with their partners, they are less likely to provoke the infamous Scorpio jealousy. There is also the potential for some of the Scorpio ambition and drive to rub off on Cancer, which can be beneficial because Cancers tend to have a lot of good ideas but they are not always motivated to do anything with them. Together these two can achieve a lot. Cancer will also appreciate Scorpio’s strength, will power, and determination, as Cancers usually prefer strong partners. Because both Cancer and Scorpio are intuitive, they will have a good sense of how to make one another happy (though they’ll also know how to inflict deep wounds if things go sour). They tend to be patient with and understanding of one another’s moods and feelings, and willing to provide the emotional support each requires. However, they react differently to hurt feelings, with Cancer sulking openly and Scorpio adopting a blank mask to hide vulnerability. As a result, Scorpio will usually know when Cancer is upset, but Cancer may not realize that Scorpio is harboring a simmering resentment that could eventually poison the relationship. It’s very important for these two to keep the lines of communication open to avoid problems in the long run. Intimacy tends to be strong with this pairing, so strong that these two may cut themselves off from the rest of the world to some degree. When they do socialize, they will typically prefer small, intimate gatherings of friends or family to noisy, boisterous places filled with strangers. Their home will be an oasis where they will enjoy spending time, and they are also likely to share a love of healthy outdoor pursuits. 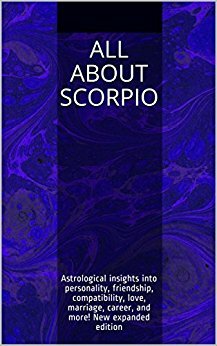 Scorpio is more of a risk taker, and can help Cancer move out of his or her comfort zone, while Cancer can apply some gentle restraint when needed. Overall, these two make a good match. Note: There is more to astrological compatibility than sun signs alone. Other elements in a person’s natal zodiac also play a role. Ascendants (rising signs), moon signs, and other planetary placements and aspects also shape personality and affect compatibility. For example, a Capricorn with Leo rising will be more extroverted than a typical Capricorn, and a Taurus with Aries rising or the moon in Sagittarius will be more compatible with Sagittarius than a typical Taurus. For more information on other natal chart elements, see Astrology Sun, Moon, and Ascendant. To read more sun sign compatibility profiles, visit the Astrological Compatibility page. For sun sign personality profiles, love and friendship styles, astrology gifts, careers, and more, see the main Astrology page.